Hyundai has finally unveiled its electric bus, the Elec City, which the company plans to mass produce and roll out in 2018. The big vehicle is quite impressive, boasting a 256kWh battery pack providing a range of 180 miles and the ability to be fully charge in merely one hour. 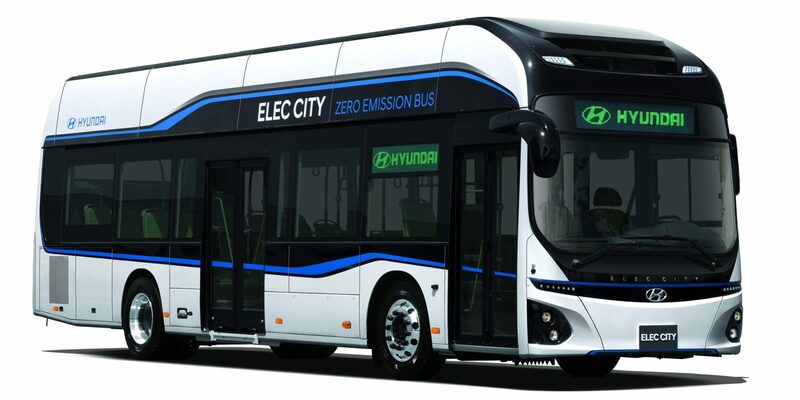 At the moment, it is unclear if Hyundai plans to bring its the Elec City to North America, namely because it would face much stiffer competition in the electric bus space. Chinese manufacturer BYD, Canadian company GreenPower, and even Elon Musk and Tesla have dabbled in the market, but we do know Hyundai has major plans for increasing the number of electric and hydrogen vehicles the company is currently producing. As a matter of fact, Hyundai says a long-range electric vehicle is coming in 2018, but for now it’s the Elec City’s time to shine.